This is the 2nd part of a glimpse into my work on the next book, which will focus on the power of story. Chapter One is entitled, “Loving That Literacy.” The purpose of this chapter is to demonstrate the various paths to literacy. I will share how I learned to read, how I learned to love reading, and how I learned to love libraries. In addition, I will lay the foundation for understanding the complex meanings of literacy. Finally, we will close the chapter with an activity, the Spiral of Literacy, which readers can take and adapt to reflect on their own path to literacy. Wyatt drops out; Mark drops in; and Audrey drops by. Wyatt dropped out of school to find his love of reading. When he was about 8-years-old, his teacher believed there was only one path to literacy: Phonics, and only phonics. 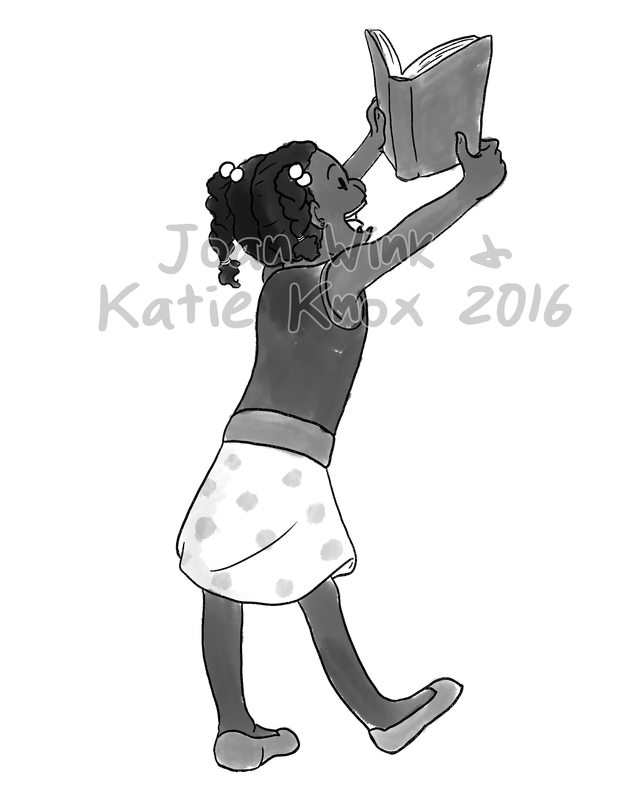 By this age in his young life, Wyatt was already an avid reader, but phonics was a complete mystery to him. He simply did not “get it.” I will never forget sitting at the kitchen table with him, as yet another night he (and we) were all in tears over his phonics homework. He came to a word, which I knew he knew, but he started to sound it out, as I listened. “/f/, /f/, /f/,” he puffed. “/i/, /i/, /i/,” he agonized over the short i sound. “/g/, /g/, /g/,” he growled the hard g sound. “/h/, /h/, /h/,” he huffed with tears beginning to run down his cheeks. “/t/, /t/, /t/,” he continued as he repeated the sound of each letter–it was like white noise. “I don’t know what it says, Grammie,” he sobbed. Soon after this, his mother pulled out of the school, and as I remember he mostly lay around on the couch and read for the next several months. When school started in the fall, she re-enrolled him in the next grade–no questions asked. By this time, he was reading well beyond his grade-level and has continued this pattern to this day. Wyatt’s mom gave him the gift of choice and time. Mark, on the other hand, dropped in to hangout in the school library to find his love of reading. Mark went to a very small rural school. He could already read well when he entered first grade, however Mrs. Jones, his teacher, was quite demanding. “When Mrs. Jones told us that it was time to go to the bathroom, we all got up and went,” he told his family at home. In addition, his family could see that Mark was bored to death by the never-ending daily phonics drills, which was the only tool in Mrs. Jones’ pedagogical toolbox. However, Mrs. Jones wisely could see that her skill set did not meet his learning needs, so she sent him to the library to just read for the entire reading instruction time. Mark loved Mrs. Jones, and still today he says she was a wonderful teacher. He started reading through the encyclopedia and read completely through all volumes before he was out of grade school as other teachers continued the pattern and let him drop in to library to read whatever he wanted. He was given the gift of choice and time. 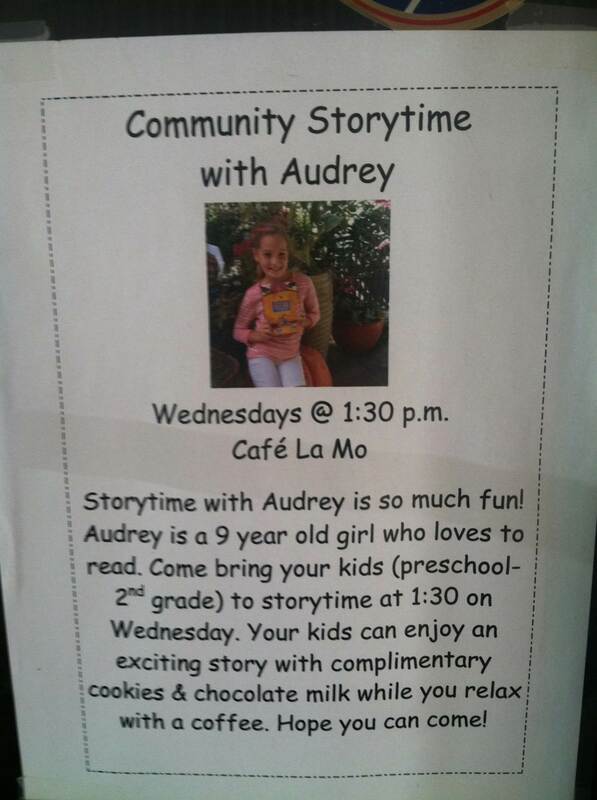 Audrey dropped by a coffee shop to tell stories to find her love of reading. Audrey, age 9, was a successful reader at school, but she was also very interested in drama, which was not encouraged in her regimented classroom. However, she found her path to literacy, when she set up a story hour at her mom’s coffee shop. Audrey decided to drop in to tell stories to the customers and their children. Audrey was very animated and expressive when reading and telling stories, particularly to the younger children, who happened to be in the coffee shop. Audrey’s mom gave her the gift of choice and time. I am thinking that I might use the following Katie Knox illustration in this first chapter.